all ads will be displayed in the top right side bar (the buttons that are there now will be disappearing). the extra large spot ($15) is a featured ad and only one will be available each month. it includes: top spot on the blog all month and a mid-month guest post with an optional giveaway. large ads ($10) will be right under the featured ad. small ads ($5) will be right under the large ads. All ads (excluding the extra large feature) will be rotated mid month for maximum visibility. if you would like me to design your ad for you i will! i will also give you the code so you can use the button on your own blog. ps. i used some of pugly pixel's super adorable clip art for the first time (sponsor image). i love it! so fun! excellent! what a fab idea! 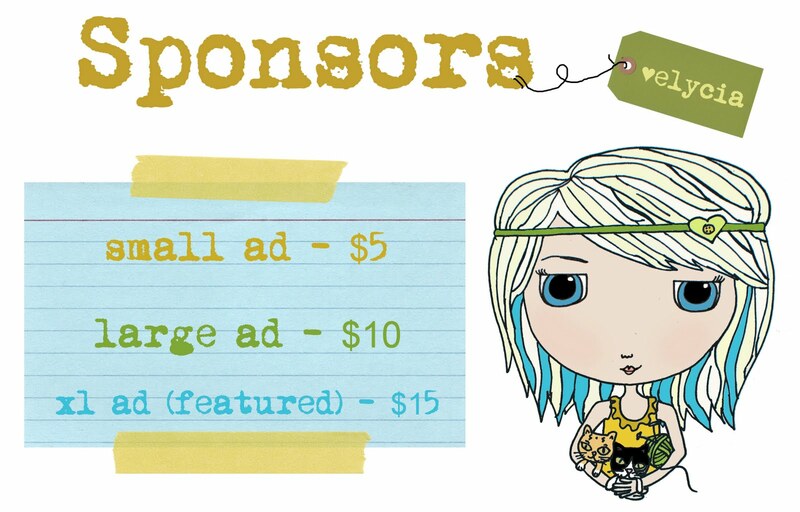 I'd be willing to do this, maybe even shell enough money for an Elycia-styled ad haha. Would have to wait until next week to pay though. Starbucks and their stupid bi-weekly checks. But wanted to let you know I'm interested. thank you both :) i appreciate your support! details soon? how does it work? I'm interested when i get some extra $. Haha. Ooh! I am interested, too! Large ad for sure! Unfortunately I don't have enough of a cash flow to jump in on this. But as a newcomer to your blog, I just thought I'd mention how cute all your graphics are. Love em.